HGTV's Monica Pedersen surprises Pennsylvania hairstylist Vicki Naggi with the news that she won the HGTV Dream Home Givewaway 2012. Acme, Pennsylvania – A hair stylist's dream of winning a vacation getaway for her family came true courtesy of HGTV when Acme, Penn. 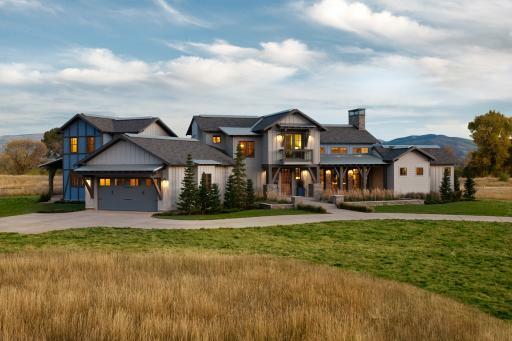 resident Vicki Naggy learned she was the winner of the 2012 HGTV Dream Home, a spectacular new, custom-built home in Midway, Utah. 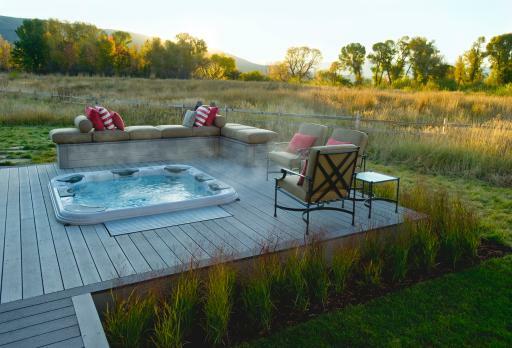 An avid HGTV fan who entered the giveaway every day during the seven-week entry period, Naggy was at her home in rural Pennsylvania when HGTV's Monica Pedersen knocked on the door to surprise her with the news. 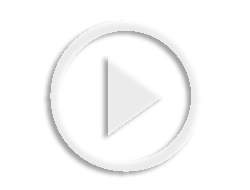 Viewers witnessed her emotional reaction during a national broadcast of the HGTV Dream Home Giveaway 2012 special on Saturday, March 17, 2012. 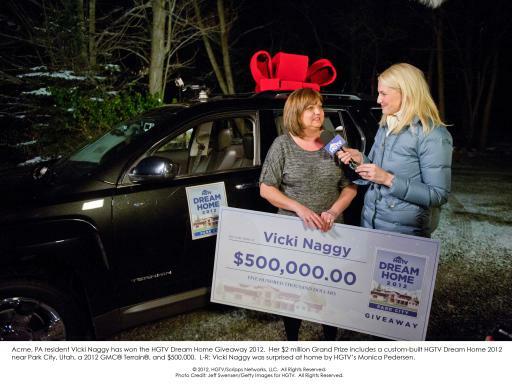 Naggy, whose name was drawn from more than 81 million entries, the largest ever in the history of the giveaway, was awarded the HGTV Dream Home 2012 grand-prize package with an estimated value of more than $2 million. 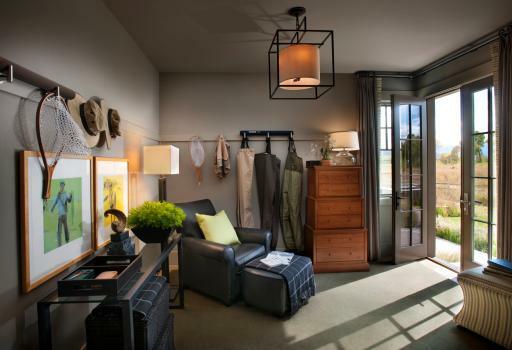 In addition to the new, fully furnished home, the grand prize package includes a 2012 GMC® Terrain® and $500,000.